I have friends who have had to leave their homes due to the fires in Colorado. 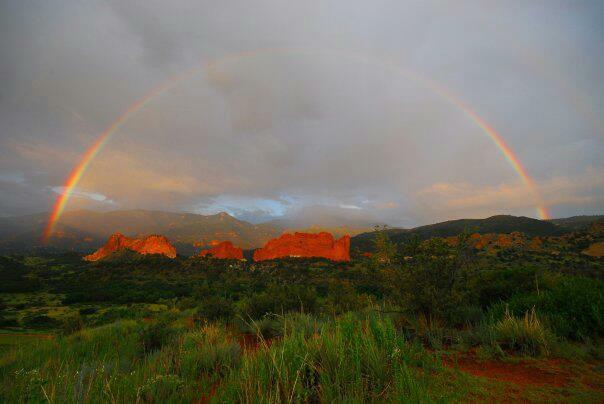 This picture was taken over Garden of the Gods in Colorado Springs. God’s promises endure …even in the fire. What a poignant picture of life outside the garden. Rest with me awhile. You have journeyed up a steep, rugged path in recent days. The way ahead is shrouded with uncertainty. Look neither behind you nor before you. Instead, focus your attention on Me, your constant Companion. Trust that I will equip you fully for whatever awaits you on your journey.